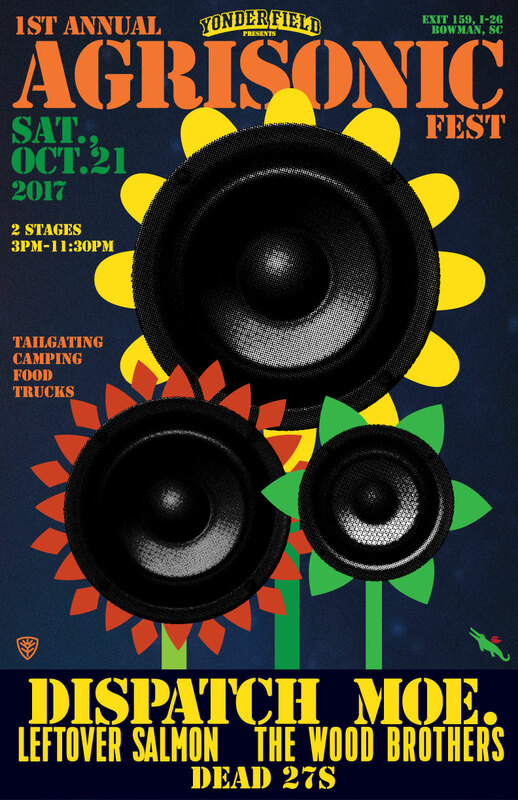 1st annual agrisonic fest 2017 at yonder field — oct 21! alright folks, a premiere rock concert is coming to yonder field on oct 21, 2017. check out the line up: dispatch, moe, leftover salmon, the wood brothers and the dead 27’s! hell yeah!! now thats a show! get your tickets now as the are going fast! go to yonderfield.com. see you there! !